TEL AVIV — Egypt’s First Lady Entissar El-sisi has come under fire for wearing ostentatious jewelry on Mother’s Day amid her husband’s efforts to encourage charity to the poor among the citizens. Egyptian President Abdel Fattah el-Sisi has repeatedly discussed his family’s purportedly poor finances, and set up a charity fund called “Long Live Egypt,” encouraging his compatriots to donate. 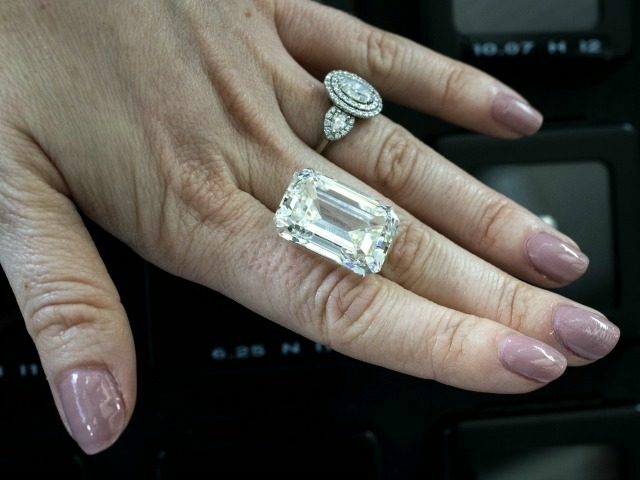 “We are all so poor [a saying attributed to Sisi], how strange that Mrs. Sisi’s jewels are all diamond coated,” Mohammed Mobed tweeted sarcastically, referring to Sisi’s claims of poverty. مجوهرات زوجة السيسي من "الألماس"
“Be careful, Egypt, lest Entissar Sisi’s jewels make you forget how poor we are, and that Sisi’s old fridge has nothing but water,” Hamas Supporter commented sarcastically, quoting Sisi’s past statements. “My wife Entissar can wear as many diamonds as she wants, and if you have earrings please donate them, Salam Aleikum,” Pyramid wrote, intending to ridicule the Egyptian president.